The company is owned by Anders & Maria Lidström and we have 2 children Elin & Viktor. 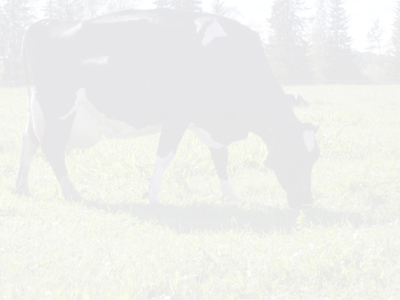 The company started in 1993 with 2 cows in the small village named Hortlax. After a short time the 2 dairy cows were raised to 10. At the same time we worked at other dairy farms. where it was a tiestall for about 59 cows. we built a freestall for 74 cows and all heifers in the same building. Our cow's use robotmilking (Lelyrobot). We feed all animals with TMR. We use a KEENAN mixerwagon. The farm consist of 107 ha. 70 ha is grass that we cut for silage 3 times. The remaining 37 ha are used for wholecrop. Since year 2000 we have an employee who´s name is Jörgen Forsgren. and only using SEMEX bulls. 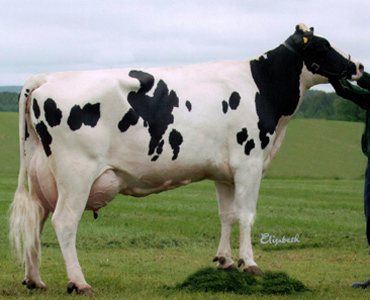 from Gårdsbyholstein, who did import heifers in the 80´s and 90´s. Our breeding goal is to have cows who can manage a hard working day in the freestall for many years. A beautiful cow who last year after year..... that's what makes us happy!! The average point from spring 2010 is 83,0.
in the land of the midnight sun !